Each reason for testing is important and comes with its own benefits, however it is important you specify in your workplace policy which types of testing you intend to do – to enable all reasonable methods be used. For instance, if your policy stated you could only do ‘For Cause’ testing, and somebody came into work smelling of alcohol, it could leave your decision to test open to challenge – unless the sole reason for testing was that the employee had been involved in an incident. For your own benefit, when it comes to wording your policy try and envisage all possible situations where testing could be required. To give you a brief idea, we will discuss the differences and benefits of each one. For-Cause testing is used in the event of an accident or an incident: you test the staff member involved to see if any alcohol or drugs are present in their system, which may have had an influence on the cause of the incident. If there is to be any disciplinary action as a result of the incident, testing for alcohol or drugs using certified equipment is essential for a company to defend any challenges on further action taken. Random testing is the best deterrent. If your staff know they can be subject to alcohol or drug testing at any given moment, they are more likely to adapt their behaviour with regards to being under the influence of alcohol or drugs at work. Implementing random testing can be done in several different ways – some companies use ‘random number generators’, others use a ‘red/green’ (or ‘yes/no’) button for employees to press on entry into the workplace. Whichever method works for you, it’s best to try and avoid a pattern: if employees know that they will only be tested if they walk past the office at a certain time, they won’t walk past the office! Suspicion-based testing is useful to establish whether or not an employee is complying with their employment terms & conditions. Companies have a legal obligation under the Health & Safety at Work Act 1974 to protect the health, safety & welfare of their employees. Ensuring the workplace is alcohol and drug-free is part of this requirement – if you knowingly allow an employee under the influence of excess alcohol to continue working, and it puts others at risk – you could be prosecuted. Additionally, certain industries such as air, rail & maritime are subject to specific legislation to control the misuse of alcohol and drugs. If a person is suspected of being under the influence at work, it is crucial to be able to establish legally whether or not they are complying with the terms of their employment. With alcohol-related absenteeism responsible for 3-5% of all workplace absences, at a cost of between 8-14 million lost working days, sending the message from the very start that it is not tolerated within your company cannot be underestimated. Misuse of alcohol or drugs is directly connected to poor productivity and performance, affecting team morale and employee relations. Worst case, it causes adverse public image or poor customer relations. Eliminate this from the start by introducing Pre-Employment testing, establishing the company expectations from day one. Certain safety-critical industries may look into testing ALL employees EVERY day as being the only method suitable to ensure a completely drug and alcohol-free workplace. This can be implemented in a variety of ways. Installing interlock devices into your vehicles or machines is a fail-safe method of ensuring vehicles are NEVER operated by anyone under the influence of alcohol – they won’t even let the engine start without a clear breath test first. With Facial Recognition technology, GPS location and SMS services there is little that can be done to get round the security of these devices. Installing an entry breathalyzer system to a turnstile or entry gate ensures nobody has access to the workplace without first passing a breath test – rapid 100% screening with no additional manpower required. Or for the most cost-effective rapid screener on the market that takes only 2 seconds to give a visual ‘yes/no’ result, look no further than the AlcoDigital AlcoSaber. At a cost of 0.001p per test at least cost cannot be the reason for not enforcing that Alcohol testing policy! Whatever solution fits, we can help. How can you protect yourself from fake a Breathalyzer? In the last blog, we learned about how the sensor inside a breathalyzer works i.e how a fuel or a semiconductor cell uses the alcohol to generate an electrical charge, which is measured to find out how much alcohol is in the breath – based on how much electricity was generated. We also discussed how the size and type of cell can affect the accuracy. With this information in mind, a good question to ask when looking at buying a breathalyzer is what type of sensor it has. Cheap breathalyzers often don’t specify their sensor type which can actually be quite dangerous as it can lead to the assumption they are accurate. Unbelievably, many of them having an accuracy of plus or minus 80% – if indeed they can measure alcohol at all. To put this into ‘real world’ as an example, let’s say you have 35µg/100ml of alcohol in your breath. Now – if you measured yourself with an accurate breathalyzer you would know that you are at the point of losing your licence (in England & Wales. In Scotland or Ireland you are already 1.5 times the legal limit). With a cheap, potentially ‘fake’ breathalyzer, your reading could be anywhere between 7µg/100ml and 57µg/100ml. How are you supposed to trust if you are under the limit? What makes these breathalyzers so inaccurate is how easily affected they are by outside influence. So things like ambient air temperature, how much breath you blow, how long or strong the breath sample is – even whether they are able to measure alcohol at all – all affect the readings. So even taking a few tests in a row and working out the average can’t give you a reliable result. How do you know whether the breathalyzer is real or fake? First of all, don’t purchase an unbranded breathalyzer. ALL breathalyzers should be tested under strict laboratory conditions prior to sale, especially when we consider what they are measuring. Merchants or marketplaces of unbranded breathalyzers do not have these facilities – they have no way of testing or checking accuracy, therefore the units are unlikely to be calibrated by the seller before they dispatch them to you. Purchase from recognised company websites or authorised retailers. Would you buy an airbag from a street vendor? I seriously hope not. But this is the same. Breathalyzers are there to protect you. They not only protect you from the law but are there to make sure you don’t put yourself in danger. 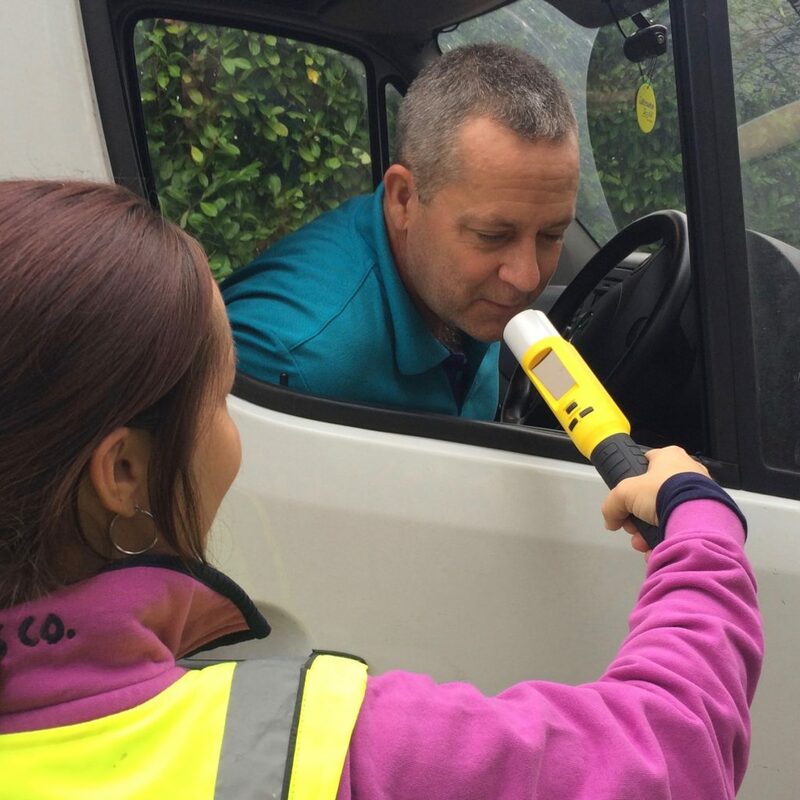 Here at AlcoDigital we have the benefit of manufacturer training, with trained staff using authorised diagnostics systems to calibrate the breathalyzers we sell. We know the accuracy of the breathalyzers we supply – because we’ve independently checked them. All our product pages show the accuracy of our breathalyzers, so you know exactly what you are getting when you purchase from us. Check out the link below to see how accurate our workplace breathalyzers are. We aren’t the only ones who are concerned about fake breathalyzers. Check out the BBC report below. Are you safeguarding your employees? What happens to alcohol when it is in your body? The drink-driving limit in England and Wales is 35 micrograms per 100ml. But what does this mean? And what happens to the alcohol in our body. When you drink Alcohol, it is absorbed into the blood via the lining of the stomach and then processed by your other organs. Approximately 20% of the alcohol in your system enters directly into the bloodstream from the stomach, with the the rest of the alcohol being absorbed by the small intestine. About 90% of the alcohol that’s travelling in your blood gets cleaned out by the liver, with the rest being filtered via the kidneys (into urine), through your lungs and sweat. As the liver can only clear out a certain amount of alcohol per hour, the feeling of drunkenness occurs when alcohol is consumed faster than the liver can break it down. The speed the liver metabolises alcohol varies from person to person. Many factors affect it including age, gender, body type, whether it was taken with food, speed of consumption, hydration and genetics – it is simply not possible to second guess how long your liver will take to get rid of the alcohol from your blood. 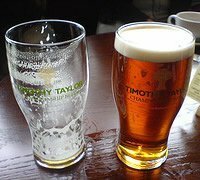 We mention a few other factors to alcohol limits in this blog – How much can I drink until I am over the limit. If you live in England or Wales, in order to drive legally your breath alcohol level must be below 35 µg/100mL. This volume may not seem like a lot but you can easily be impaired on a lot less. With the factors that affect your liver process, it is likely a smaller person will need less alcohol to be over the limit compared to a larger person – dependent on their tolerances – but this is not ALWAYS the case… This is why the ‘counting units’ system to establish an alcohol measurement is totally unreliable. There is no way to tell how intoxicated you will become using just units. This is where Breathalyzers come in. They measure the alcohol content of a breath sample, and display the readings in either a Breath Alcohol measurement (35 µg/100mL or 0.35mg/L) or with the older models, give an interpretation of the Blood Alcohol Content (0.08%BAC for England & Wales). No counting units or hours – just a measured sample to establish how long it is taking the liver to metabolise that alcohol. What is a breathalyzer calibration and how does it work? How does a breathalyzer calibration work? All breathalyzers require a level of maintenance, these involve costs and should be considered when searching for the best breathalyzer for you. ALL breathalyzers need to be calibrated. This is done by setting the breathalyzer sensor to recognize specific alcohol concentrations – to be able to give you an accurate reading. Kits that can not be calibrated are a waste of money as they can not be accurate. There are two breathalyzer types: semi-conductor sensors (usually £100 or less, quoted accuracy between 10%-25%), and Fuel Cell Sensors (generally, £100+, quoted accuracy between 1.6%-5%). Semi-conductors are cheaper to manufacture because the sensor is only accurate at one or two alcohol concentrations. It then uses software to generate a ‘reading’ if your alcohol level falls outside or within these calibrated points. Fuel cells are more expensive to buy because they measure a volume of sample. They then use a linear method of measurement of the alcohol content within that breath/air sample. This measures from zero (alcohol) through to about 10 times the current English limit – to give accurate and consistent results time and again. They are also able to withstand extremes of heat and alcohol without it affecting the long-term accuracy. 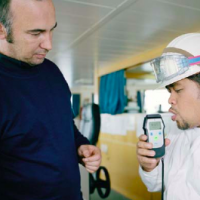 What happens when we receive a breathalyzer in for calibration? First we run a calibration accuracy check, which establishes whether the device is working as expected from the manufacturers specification. The results from this indicate what level of calibration is required. 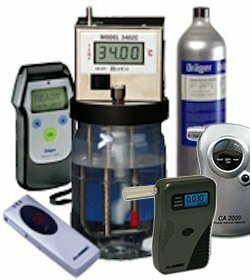 Depending on the breathalyzer it will require either a ‘wet bath’ or ‘dry gas’ calibration (you don’t need to know which one it requires when sending it into us for calibration, just whether it is a semi-conductor or a fuel cell). ‘Wet Bath’ Calibration – The calibrators are filled with specific certified alcohol concentrations which are heated to 34’C. This is connected to a pressurized flow meter attached to an air generator to provide an accurate 1.2 litres of air per sample. The breathalyzer is told to recognize the sample at the level of alcohol within it. Dry Gas Calibration – This is utilized alongside the Draeger Diagnostics Service software which enables us to process the calibrations on our Fuel Cells, check software updates, clear data errors and generally make sure everything is working as it should. Once the calibration process has been performed, accuracy tests are taken at a range of calibration points and a clear air ‘human’ sample. Only once we are 100% happy that the breathalyzer is working to the manufacturers specification we finally sign of the certificate confirming accuracy. Your breathalyzer needs to be serviced on a regular basis. In the same way your car should be put through a service & MOT on an annual basis, personal breathalyzers should also be checked every 12 months. With the professional equipment, part of the Home Office Approval dictates they are checked every 182 days (6 months) – to ensure a positive test result is legally defensible. We offer a range of calibration services – from the standard semi-conductor service through to a full Courier Collect & Return service. For more details see our website here. Swap and Go Breathalyzer sensors are replaceable sensors for your breathalyzers. This helpful and unique design is patented on certain products making AlcoDigital the only company in the UK with the right to sell these particular breathalyzers. All breathalyzers need to be calibrated every 6 to 12 months. Usually this requires you sending your handset into our workshop for servicing: not only do you have the cost of the calibration but postage as well. But more inconvenient is getting round to actually packing it up for sending in, and getting to the post office when they’re still open. It’s the sort of job that gets put on the shelf for another day – and finally when you have found the time to send off your breathalyzer for calibration, you are then without it for a few days to a week. With a Swap and Go Sensor all that inconvenience is gone. 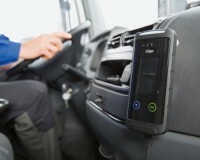 Simply order online, select your sensor and wait for it to be delivered. Once received, swap into your breathalyzer as easily as changing a battery, and off you go. The old sensors are free to go in general waste (unlike batteries of course). There are both semi-conductors and fuel cell breathalyzers featuring this unique swap and go facility. Read our blog here for help for choosing between the two. Whichever breathalyzer you choose you will receive instruction on how to replace the sensor, and we also have videos on our webpages for that specific product. 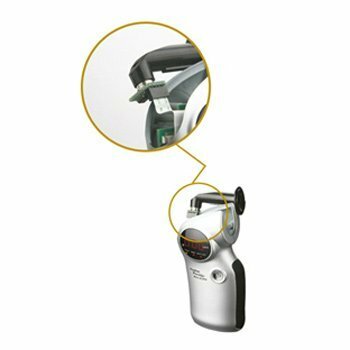 The original AL6000 semi-conductor breathalyzer was the first unit in with a swap and go sensor, launched in 2006. It was joined by its big brother – the AL7000 – in 2009 offering higher accuracy with a more compact design. The ground-breaking AlcoDigital Platinum fuel cell breathalyzer with swap and go sensor was launched in November 2014. With an accuracy of ±3% it instantly became one of our most popular personal breathalyzers. Save yourself the time and effort of calibrations and buy a swap and go breathalyzer. 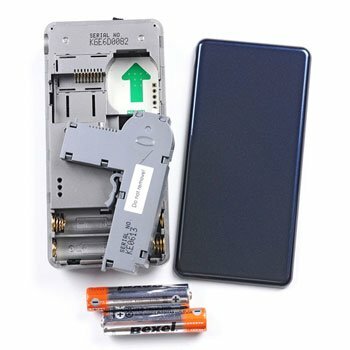 You can also add on a discounted spare sensor with your first purchase. Check out our swap and go models here.